What is special about Never Say Perfect? The setting includes Pawleys Island, Litchfield, Murrells Inlet, the Grand Strand—all in South Carolina and offers the names of some local points of interest such as Brookgreen Gardens, Hannah Banana’s Sunshine Cabana at the Waccawache Marina and Lazy Gator Gifts in Murrells Inlet. Other locations in the book are Cape May, NJ, New York City, and Milan, Italy. What is a brief synopsis of the book? Following a romantic second honeymoon in Pawleys Island, South Carolina, Dan Strickland mysteriously disappears at the airport. What inexplicable secrets was he hiding? Why had he seemed so loving and blissful during their vacation only to suddenly vanish? Will the weight of disaster cause Laina’s faith to crumble? What is the theme of the book? What message are you trying to convey? My purpose in writing this book includes demonstrating that our lives, as we currently know them, can be irreversibly changed in an instant. Everyone has challenges in life, and no one is exempt from sad or difficult events. How do we cope? Even people with strong faith can experience times when they feel disconnected and distant from God, but the point is when we stop relying on God and placing our sorrows in His hands, the longer it will take us to recover. He is our strength. Another message I wanted to share is how important our friends, and particularly for women—our girlfriends can be. Close girlfrends navigate any number of sorrows and triumphs together. Even if we are miles apart, we can still be there for each other, providing emotional and spiritual support. In Never Say Perfect, Laina’s girlfriends come to her rescue when she desperately needs them. She didn’t ask for their help—they just knew and took action. I have a group of friends who would do the same for me, and they are priceless. So a segment of this book was meant to honor them. Just as in my first novel, Eyelash, I wanted to tell a story that reminds us that family relationships can be complicated. If no one makes an effort, nothing can be gained or resolved. Someone has to make the first move or the situation remains stagnant, and harmony is continuously obstructed. 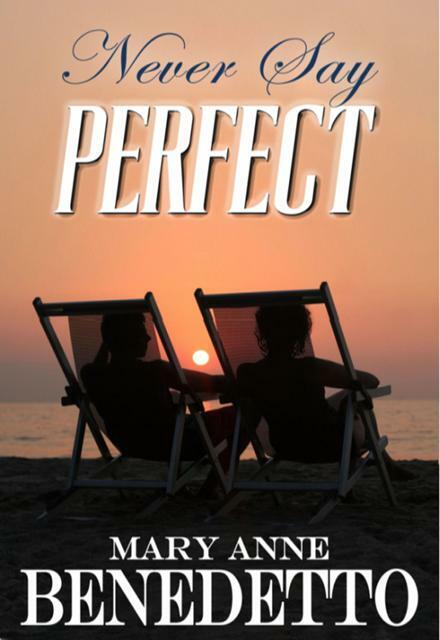 There is more romance woven into Never Say Perfect than in Eyelash, but I have to be careful not to reveal too much of that aspect. I don’t want to spoil the mystery that was built into the story! Are you taking a writing break now, or are there more books on the horizon? Just a month before releasing Never Say Perfect, my nonfiction book, 7 Easy Steps to Memoir Writing: Build a Priceless Legacy One Story at a Time! was published. I’ve barely had time to wear the marketing hat for 7 Easy Steps and now Never Say Perfect is out and in need of marketing attention as well. So I’ll be juggling promotion and marketing of both books, as well as speaking engagements for 7 Easy Steps. There are definitely more book projects in the works, however. Never Say Hopeless will follow, as will Never Say Final if I live long enough! These stories will continue the saga of the life of Laina Strickland and her family. Additionally, I have two more nonfiction works to finalize, which are currently in various stages of completion—lots to keep me busy for a very long time. I’m also helping a friend, who has led a rather bizarre life, capture her story. It is more dramatic than a Made for Television movie, and the scary aspect is that it’s all one hundred per cent true. At any rate, I won’t be bored for some time to come! Where do we buy your books? They are on Amazon, Nook and Kindle. 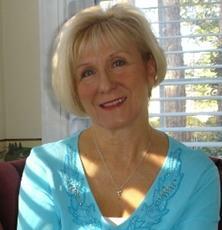 A visit to my Web site, www.awriterspresence.com will present you with the links to all formats. Mary Anne Benedetto is a speaker, blogger, Certified Lifewriting Instructor, ghostwriter and author of Eyelash, Never Say Perfect and 7 Easy Steps to Memoir Writing: Build a Priceless Legacy One Story at a Time! Her passions include helping people capture and preserve their memoirs, guiding pet owners in writing their treasured animal stories, world travel and walking the spectacular South Carolina beaches. Visit her at www.awriterspresence.com, www.maryannebenedetto.blogspot.com and www.4womenwholove2travel.blogspot.com.